I was shocked to hear of Michelin starred Ellory’s closing – we had a rather splendid meal in its Hackney digs. 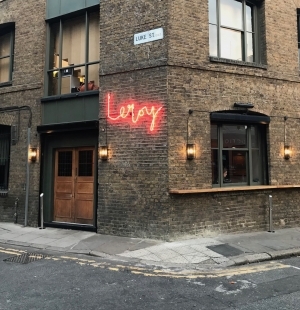 It made sense then that owners Jack Lewens and Ed Thaw (both sommeliers) were opening Leroy in Shoreditch. 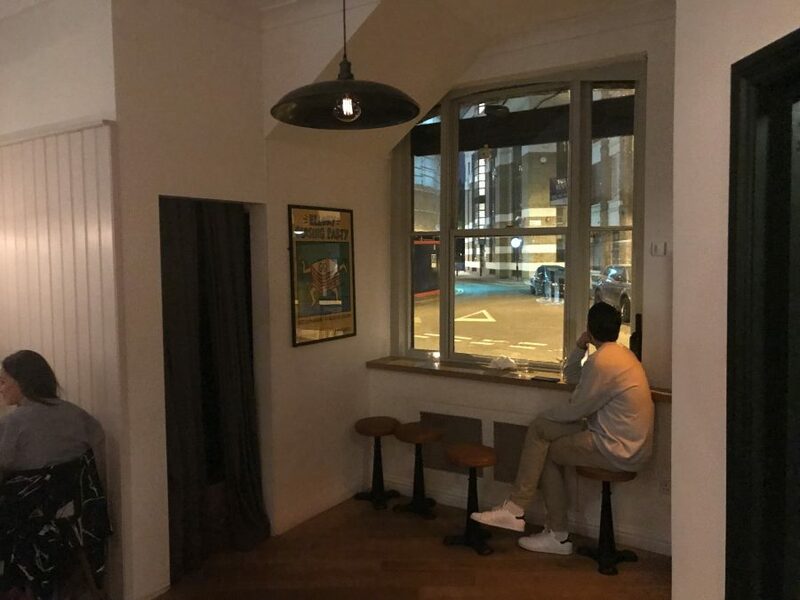 We book last minute so it’s only fair we’re seated on the windowsill away from the main dining room and beside a wine fridge which is opened periodically throughout our meal and means we have to move out of its way. Is it a great place to sit? Hell to the no. But you know what? Who cares. I’d eat this food in a toilet. Which is handy as we’re quite close to them. 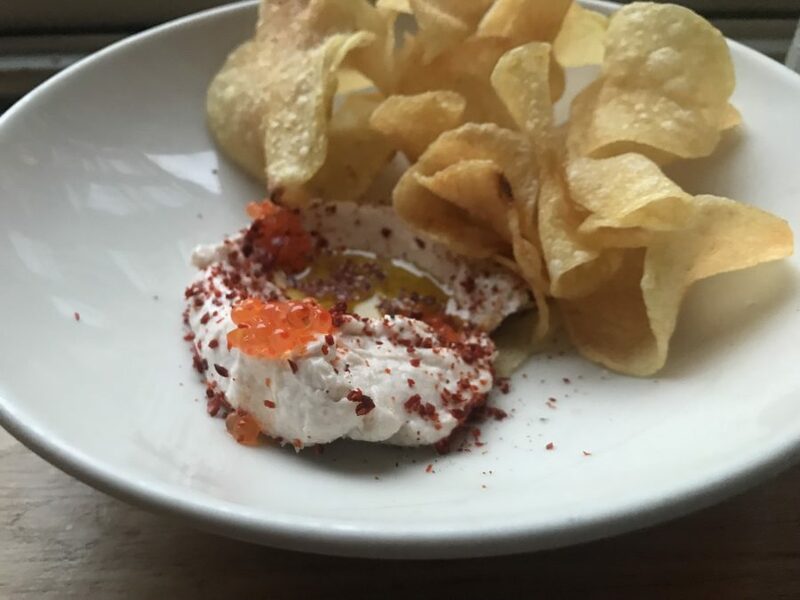 We start with whipped cod’s roe and crisps (£5.50) which is pungent and fishy and ruddy lovely. 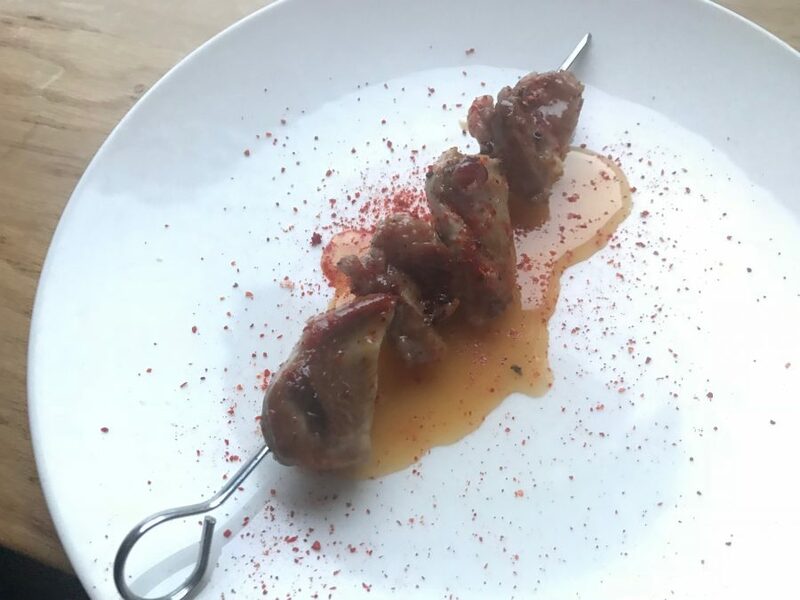 Chunks of plump quail on a skewer (£7) are a meat lover’s dream. 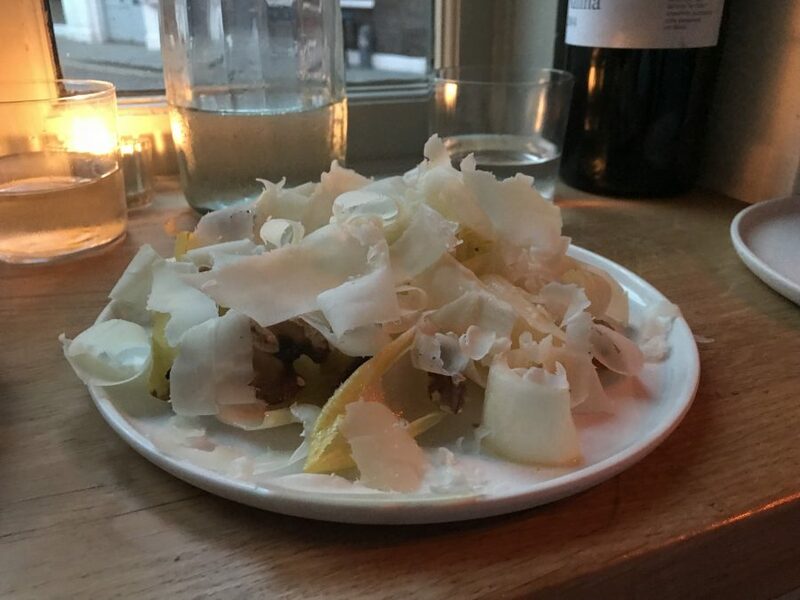 ‘Leroy salad’ (£9) is a simple thing: endive, shaved cheese (wish I could remember what), walnuts. It’s a joy to eat. 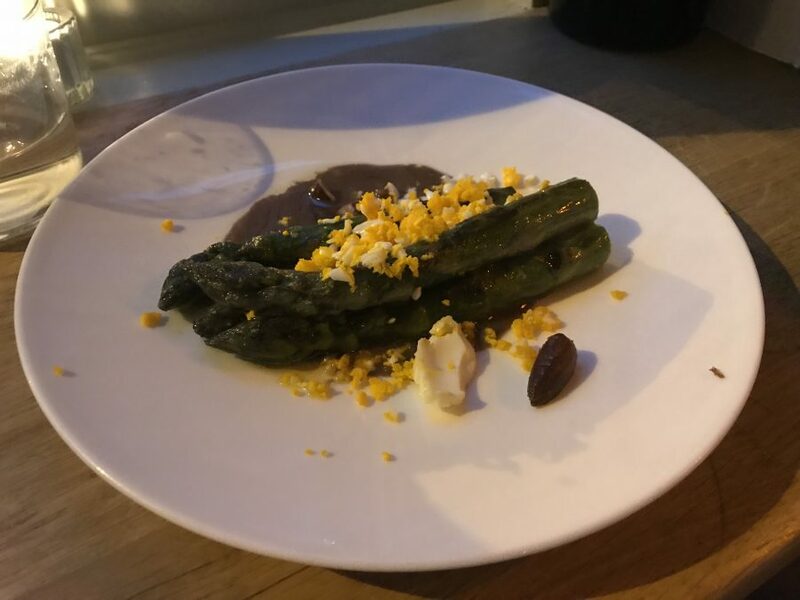 Thick spears of asparagus (£9) come dressed in a fishy bagna cauda sauce and plenty of grated egg. It’s an explosion of flavour. The star of the show is a big ol’ piece of beef; longhorn sirloin with béarnaise sauce (£36). 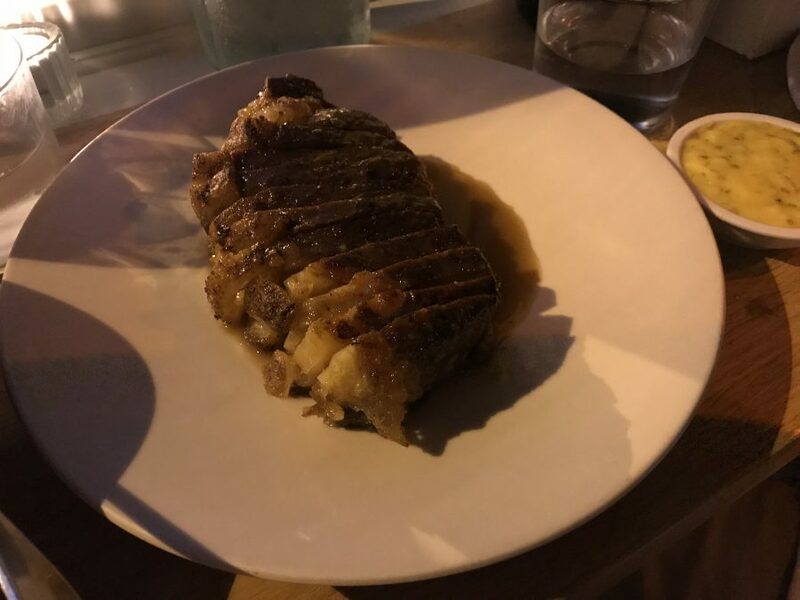 When a restaurant does meat as good as any steakhouse then you know you’re onto a winner. The fat is absolutely incredible. 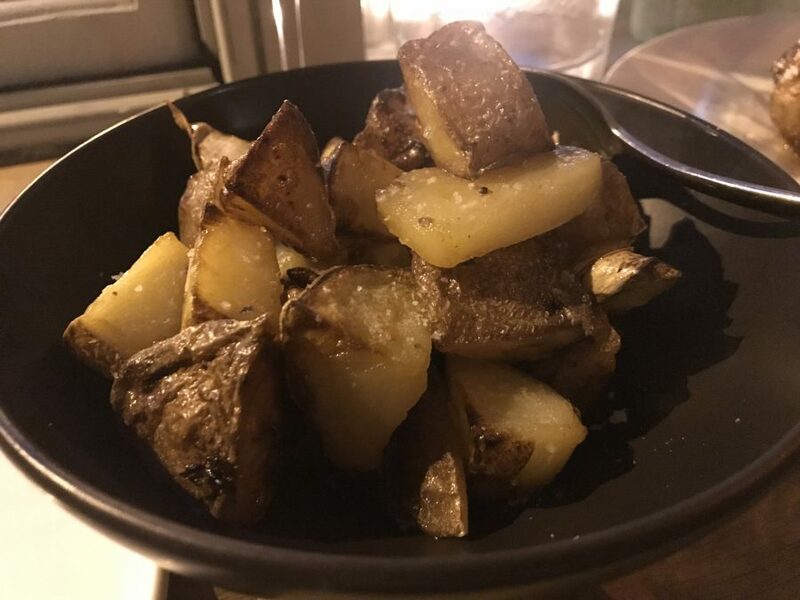 A side of crispy new potatoes are just the ticket. So yeah, a crap seat but some of the best food we’ve eaten in a long while. 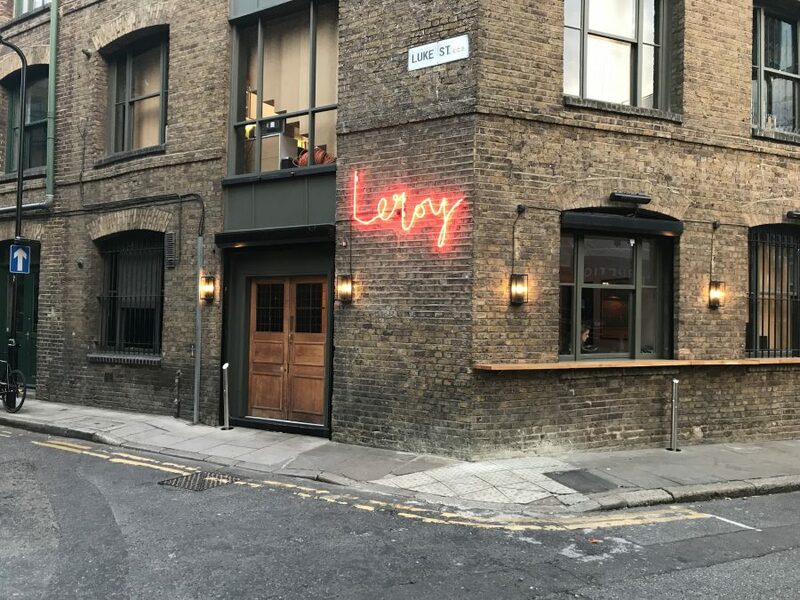 You want my advice: book ahead, get a table, enjoy everything on the menu and you’ll get the full Leroy experience. You lucky thing.